We’re often fond of saying that the primary benchmark for WordCamps is the quality of our content, and a large part of our content is our speakers. Even though speakers are WordCamp volunteers, the same as everyone else who works on a WordCamp, it makes sense that the organizers do something special to say thank you. 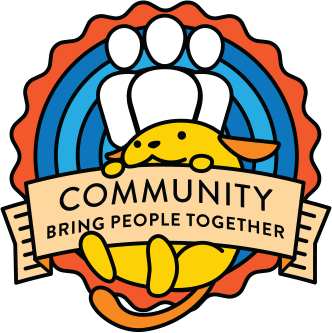 We have found that speaker dinners and speaker gifts (let’s call them ‘Speaker Thank Yous’) have become commonplace components of the WordCamp model. The origin of the speaker dinner was twofold: to ensure that all speakers were in town and ready to speak, and to thank them. When setting up WordCamp Budgets, we have one guideline that affects the entire event: Is this a responsible use of funds, and does it benefit the attendees. We’ve never had a rule about what amount you can or should spend on speaker thank yous, and that has led to vast differences in how WordCamps acknowledge and thank their speakers. There is some concern that this sometimes large discrepancy in spending on speaker thank yous from event to event causes more competition than collaboration. Financially, that competition can have further reaching consequences than might, at first, be apparent. With that in mind we’d like to propose a practical guideline for how much is appropriate to spend on speaker gifts, and also what is appropriate to gift to speakers. Deciding the amount to spend is not about how much can we spend, the question is how much should we spend. Even if the Camp has funds available, and that camp can afford to spend $100 on a speaker gift, there are programmatic considerations to be made here. What do we mean by that? WordCamps that are able to charge higher amounts for sponsorship and raise more sponsorship funds may be able to afford more for Speaker Thank Yous than camps that cannot. There are many valid reasons for certain camps to raise more money from sponsorships. The only venue available for the Camp may be super expensive, or have a caterer that must be used thereby charging a king’s ransom for a box lunch. A concern at the WordCamp Program level, is that Camps having larger Sponsorship Goals for discretionary items rather than event necessities could be taking sponsorship money from others. While we have increased the total number of unique sponsors over the years, we must recognize that sponsors are not a bottomless pit, and each sponsor will have a budget they can spend on all camps. So, if WordCamp Camelot raises a ton of money and can afford to buy custom leather bomber jackets for their speakers not only could it be taking money from the smaller, less financially stable WordCamp Knottingham event. It’s also setting a precedent with speaker gifts that other, smaller or more financially responsible events can’t meet. While we’re looking at what we should spend on a speaker gift, we should also have a discussion of what makes an appropriate speaker gift. We don’t want to suggest a list of items that should be forbidden, instead suggest that we keep in mind the inclusive and family friendly attitude of WordCamps when selecting a gift. We would therefore discourage gifts with a gender bias, items that directly correlate to drinking or smoking, and anything that would encourage illegal activities. WordCamps are intended to be welcoming, low-cost events accessible to and appropriate for everyone who loves WordPress. With that in mind, we ask that organizers are transparent with their spending, and that they keep budgets lean, focusing their spending on what will benefit attendees most instead, of competing to see who can do the coolest thing. We are not proposing a hard monetary limit, that would be arbitrary (due to price differences and world currencies a limit is not practical). A good practice to follow would be that if the Speaker gift exceeds the price of a one day ticket, this should be reviewed by the organizing team, and discussed with your mentor and at your budget review. How do you feel about the guideline of the per day ticket price for speaker gifts? Are there any concerns or ideas you’d like to express? Please share in the comments. First, let me thank you for starting this conversation. As an organizer, speaker and sponsor I certainly have a lot of thoughts on this. As with most of these things my overall opinion is to mostly leave these issues to the organizers. Let camps be a little unique and not so homogenized. However, that doesn’t mean complete laissez-faire without any guidance at all just keep the guience broad. I’d like to hear more about how the diversity of “speaker thank yous”, is causing concern? What concern? Where is this concern actually coming from? I ask because I honestly have never seen it in my time organizing, speaking and sponsoring WordCamps. I certinaly do see wild descrepancies in what speakers are given, but I also see a general sense of “whatever speaker thank yous come the way of a speaker is purely a bonus and come long after a speaker has committed to speaking. Never have I seen “speaker thank yous” being used to incentivize speakers to attend one camp over another. This is the fundemental point I think is minimal at most, and possibly non-existant. I more often find the opposite being frustrated more than once to find out at last minute about a speaker pre-event after travel is arranged. Further, I’ve never heard what a “speaker gift” might be provided until it’s handed out. Are their camps advertising their speaker benefits? With that, I think organizers should retain free reign to spend as much as they see fit on speakers as long as spending is equitable across all speakers and is in alignment with the WordCamp guidelines for inclusiveness. Those guidelines already address everything I think that needs addressing. If there were to be a numerical threshold I think limiting it to the value of “one day’s ticket” is way too low. In the US at $20/40 you’d barely be able to fund a dinner for _just_ the speakers, never mind wanting to also involve sponsors. On the topic of speaker dinners, I love that you’re aware these dinners used to be incentive to get the speakers in town before the event (in the early days this was a big problem!). I think it’s evolved though and these events are now a premier benefit to both speakers and sponsors allowing them to mingle independent of the general attendees. This is important for speaker-to-speaker bonding, as well as freeing speakers to focus on _socializing with general attendees on the day of camp_ rather than trying to get a few minutes in with their fellow speakers and/or established cliques. TL;DR; I think speaker dinners are hugely important and a worthy of a whole separate discussion. In terms of speaker gifts (objects), I again think organizer should have free reign within the existing guidance of stewardship of funds and inclusiveness. The only part of that I’ve seen camps deviate from (Miami) is providing volume over value. I’d far rather have received a single meaningful thank you gift over a bunch of varied swag. This to repeat myself again isn’t unique to speakers, this is the overall guidance provided to all of WordCamp when it comes to providing swag to attendees. Related… if the concern is camps being overfunded by sponsors and blowing that excess in excessive ways restrict the use of over funding in a mathematical way. For example, your budget was $30k, you raised $35k in funding, 50% of that $5k excess is earmarked to go back to central. Not sure what the numbers there should be, but I’d rather see that sort of tax over a fixed money cap. As a WordCamp organiser I feel I need to agree with most of the above statements. We do need some freedom, in order to make our WordCamps rather more unique than homogenised. We need to nurture creativity, not stifle it. And this is a general belief of mine, which goes beyond speakers gifts. That is, of course, within reason and within our budgets! If there have been cases of excessive spending, did they really involve speakers gifts or did the excess spread in all aspects of a camp? If excess is an issue, then should it not be addressed in a general way? I also have an interesting example from our WordCamp Athens. We have not spent much on speakers gifts but we did spend more than the absolutely necessary on the speakers dinner. But not per person! We widened the attendance of the speakers dinner in order to include sponsors, organisers and volunteers. So, we organised a nice party for all those people who made our WordCamp happen. This gesture was received really well and appreciated by everyone who was present. Of course this was done totally within budget and our budget did leave a surplus in the end. Now was that excessive spending or not? I believe not, although, if viewed under the light of Kevin’s proposal, then perhaps it was. Thanks @jb510 and @nevma for your input. Let camps be a little unique and not so homogenized. However, that doesn’t mean complete laissez-faire without any guidance at all just keep the guience broad. I agree WordCamps need ton be unique and the guidance should be broad. Having struggled with a large city WordCamp for many years I understand that prices vary greatluy and we cannot and should not set a rule on what to spend. We should have a guideline or a rule of thumband that is all. Then it will be up to the WordCamp Organizers and the mentor/budget review to work out the specifics per Camp. When doing budget reviews I often hear that a WordCamp wants “Bomber Jackets” because Insert Name of other WordCamp has done that and that they don’t want thei speakers to feel slighted. I agree that the Speakers are not the ones that feel slighted based on teh Speaker Thank You – this is about the Organizers and how they feel. For thise of us that do budget reviews we see Organizers comparing themselves to other WordCamps and believing that they need to do something bigger than the others to be successful. Our thought is to have a guideline to help all organizers. Regarding the speaker dinner the same comments from above apply. Camps need not do a super fancy dinner and the cost will be reflective of the location/city. A guideline will be useful, but the specifics would be decided at budget review. We have seen some camps spend a large sum on gifts. Our Bomber Jacket reference is not what was done, but is an example of ‘extravagance’ . Since WordCamps need to look at all spending with a mind set of what gives the most benefit to the WordCamp and the attendees, a gift for a speaker should be a sign of appreciation and a Thank You, not an extravagance. Defining what would be extravagant is the issue. We widened the attendance of the speakers dinner in order to include sponsors, organisers and volunteers. So, we organised a nice party for all those people who made our WordCamp happen. I have seen this done at some Camps and I believe if it can be done budget wise, it should be done. I actually prefer a ‘Volunteer Event’ as opposed to a ‘Speaker/Sponsor Dinner’. Involving all people that make the event happen is much more inclusive and welcoming. I woukld personally prefer a Volunteer event that is more of a casual event (perhaps appetizers and some drinks) that includes more people than a sit down dinner that only benefits some. This is a good example of the diversity of opinions on these things. I personally really dislike volunteer events. When volunteers end up at the speaker event it dramatically changes the character of it in a bad way. I love my volunteers, but showing up to staff a table/door/etc for a day or even just half day is nowhere near equivalent to forking out money or the prep time and travel cost incurred by speakers. Similarly, I too would usually prefer hosting a proper meal over some of the “casual” events I’ve attended. I get annoyed when I’m invited to an event that is supposed to have _food_ and it’s either awful food or so little food you have to plan to eat immediately before or after it. That said, I still feel the most import aspect of _all_ WordCamp events is that they be conducive to socializing, and the worst violation of that is those held out loud bar-like venues where everyone does their best to yell at each other for an hour before giving up and leaving. I appreciate the bomber jacket example, although I want to be clear, I personally do not actually see a problem with a gift like that. Actually, the only gift I’ve had an issue with was the “gift bag” Miami handed out to speakers in 2017. I lost count, it seemed like 15+ items of speaker only swag in addition to all the attendee swag? Some of it was cool, but some of it was junk and I’d rather have just one thing, like a jacket, than 15 meh things. For WC Maui we worked hard to find just the right gift (custom made tiki mugs) and then worked hard to get it to fit within the budget. We worked hard to provide a great speaker event where speakers and sponsors could have a good time _and_ socialize with each other. If I recall gift was $60/pp and Events was $30/pp. We passed up some more truly amazing event options that were offered at a discount but still just too expensive to do while providing the gift we’d settled on. It came out seeming just about right on balance. Hi Jon. It was great having you as a speaker at WordCamp Miami in 2017. I did however want to step in and make a correction to a statement you’ve stated here and also implied in other places outside of make.wordpress.org. Regarding the number of items for speaker swag for WCMIA in 2017 there wasn’t “15+” as you mentioned here – and even as an exaggeration that’s a bit overkill. I looked back and the number of official items was 4, including the speaker bag itself, plus so mints/coffee/kleenex whose cost was negligible. Maybe you are confused, or maybe including sponsor swag items in there. The being said WCMIA with exception of our 10th anniversary has been reducing our budget/cost of speaker items each year and will likely continue to do in 2019. Appreciate the feedback, but I also appreciate accurate information. Instead of ticket price we should look at cost per attend. To take the example of our WordCamp Mumbai, we have tickets which are about $8 and most tickets are sold as early birds at $4. The average cost per attendee which we would also incur of speakers is about $20-30. To give you a background, we have been having WordCamp since 5years now and we used sell 60% if not more tickets couple of weeks before the event. Early bird discount and keeping tickets lower helped more people sign-up easily, which in turn helps convince sponsors who are much easy to close when they 400-500 people already signed up. Now pricing our tickets low, in fact we have been the cheapest WordCamp in India every year; shouldn’t end up being a negative for us. Now pricing our tickets low, in fact we have been the cheapest WordCamp in India every year; shouldn’t end up being a negative for us. This is why we should not have a rule , but a guideline that organizers can look to and review with their team and at the Budget Review. I agree with every single word @kcristiano: I liked that the spreadsheet had the red bold sentence in it “Is this a good use of donated money” and I miss it in the site budget. I don’t see guidelines as a way to homogenise events, but a way to remind everyone that this is donated money, that someone worked hard to raise, and it should be spent to benefit all attendees. In Torino we are going to do an event open to all where we will offer one drink to speakers, sponsors and volunteers but everyone is invited. We do it in a bar that it’s well known for its happy hour, so we know there will be food (they cater to hundreds of people every weekend) and all of this is for 10 euros, half the price of the ticket. If we want to promote inclusiveness we should avoid exclusive events. I totally get @jb510 point of view but I disagree that volunteers commitment is less than speakers, sometimes speakers give the same talk over and over again (which is absolutely fine) and they might be working for a company that pays their travel expenses (again, totally fine!). I think comparing the commitment of the parties involved might led us down a slippery slope. Spot on @francina! volunteer management is hard. What if the volunteer who can’t give a lot this year. It’s her first year being involved in a WordCamp. She didn’t know what to expect or even if she’d like it. If you disregard her person’s commitment at a lesser value, she will know and she won’t volunteer the next year or won’t support the local community, as much as she would if her contribution were equally cherished. The volunteer who has only an hour or two to spare this year, might step-up as part of the organizing team next year or take on more responsibility at the local meetup Sure, I’ll enjoy a nice dinner with friends or a nice gift as the next person. But I would hate if it came with at the cost of a lost opportunity to celebrate a community event like a WordCamp in a larger context. The volunteers at WordCamps are the people who stood up and raised a hand. This is a gift by itself. Seize every occasion to celebrate it! There’s been a wide variety of speaker gifts in the past — everything from hoodies to skateboard decks to poker chips to timbuk2 bags. I’ve always preferred things that are fun and somewhat useful. Our first year at WordCamp Lancaster, we gave out embroidered Dopp Kits with Travel Outlets (turning one outlet into three outlets + 2 usb jacks), figuring for speakers who travel it’d be thematically a good fit. This year we wanted to go with something on the playful side — giving each speaker a small set of lockpicks, a transparent practice lock, and hosting an ethical lockpicking workshop, run by a contact of mine involved with TOOOL (The Open Organization Of Lockpickers) — these are the folks that run the lockpicking village at events like BSides Security conferences and Defcon. TOOOL and nearly every locksport provider constantly emphasizes the ethical aspects of locksport — that you may only ever pick locks that you either own, or have received permission from the lawful owner of to pick. Further, in the real world, the lockpicking techniques taught are not those that are commonly used in criminal or espionage enterprises — the tend to use more brute force methods such as bump keys or less known methods for higher-security locks. Philosophically, locksport shares a lot with open source software and the ethos of open source. There is a strong belief in responsible full disclosure. It also aims to decrease the prevalence of Security through Obscurity, common in so many industries for all the wrong reasons, and increases the physical security by analysis and understanding of the defense mechanisms. It’s very akin to a physical version of a code security workshop that teaches attendees to learn code security by examining real world vulnerabilities. The entire speaker gift — picks, lock, workshop, would have come to under $20 per recipient — under $600 for 30 gifts. It is my contention that this would be a fun, experiential, unique, and affordable experience for a select group of recipients, and should be doable in the future. Heck, even @matt has had a set of lockpicks in his bag for three years running, and I feel this would be a speaker gift very much in the spirit of WordCamps and Open Source in general. Thanks @georgestephanis for the detailed explanation and context. I do believe that Speaker Gifts should be ‘family friendly’ and out of the contect you have given a speaker gift of a lockpick set and a lesson on how to use might be misunderstood. This is an interesting discussion and certainly will be monitoring it. Outside of WordCamp Miami’s 10th anniversary event we have been making an effort to slowly reduce the speaker swag/gift budget for a few years. We’ve been doing this not only in reducing quantity and in finding unique gifts that cost less, finding sales, not spending more on shipping then we have to, etc. The later methods can actually save alot more money then you think. There is definitely a grey area in terms of things, and I am firmly in the camp of that it should be up to the WordCamps themselves to make decisions within reason. WordCamps that want to provide a clever or unique item, even if it costs a little bit more but affordable, is appreciated by speakers (who are spending again their own time/money to come, especially those out of town). For example, the same principle I think can also be discussed about after party venues – I’ve seen some WordCamps willfully select locations where less expensive options could have been available… but that decision as well I think is mostly up to organizers. Mentors can play a part here as well offering advice. It’s not something that comes up often in my talks with WordCamps (as a mentor myself) but maybe it should and it’s something i’ll be bringing up. I look forward to insightful conversations on this topic. Thanks to all who commented. This is a tough subject and from the comments here we do not have a clear consensus on a new policy. I recommend that we move forward following the existing guidelines that state that we consider (as we do on all expenses) is this a responsible use of funds that benefits the Camp and it’s attendees. We should also be sensitive to the gifts themselves. @georgestephanis made a compelling case for a proposed speaker gift. Without that context some may wonder if the item was appropriate. We should as Organizers, deputies, Mentors consider all the information and be sensitive to the local community. I would like to suggest that we make no changes to policies/guidelines, but that Organizers and their mentors consider this subject when planning the budget. We can revisit this subject later in the year if needed.